The pleasure of driving a brand new shining car from the dealer to home cannot be explained in the words. It is the moment for which you had saved lots of money, sacrificed your desires and tried save every single penny from your investments. Interestingly the car dealers are also aware about this fact and therefore do not hesitate in exploiting the situation and playing with your emotion without even giving you any clue for that. In-fact as soon as you enter the dealership, the executives working there starts giving you special attention that you get convinced by them at first instance without asking any question from them. To get yourself protected from that won’t it be better that you also treat them in the same way as they treat you. Below are some factors which these executives do not let you know and take advantage of your innocence. 1. If an executive makes an offer which at first seems quite interesting and beneficial to you, it would be better for you to ask about VIN number of the car that he is offering you to buy. The VIN is basically the Vehicle Identification Number that refers to manufacturing year of the car. 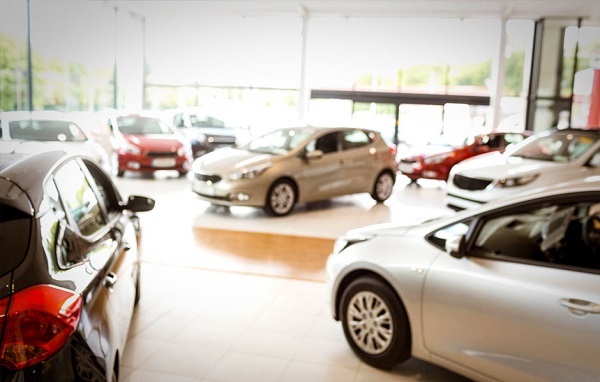 By offering you beneficial deals on particular car the dealer wants to clear the old stock of that car which means that the car which you are buying might be few months old. An interesting fact is that the car sold to you will be offered with bunch of deals making you feel that you are enjoying lots of benefits by buying it. 2. There are lots of after sales things which dealer wants you to go for after buying the car. For example you will ask you pull injector jets every time whenever you bring the car for service. To combat with this problem it would be better to ask for manual which carries the brief of all the things that you need to do at your end during the warranty period. Doing do this will protect you from being cheated by profits that are enjoyed by the dealers after sale of the vehicle. 3. The executives working the dealers have the determined sales targets to be achieved by the end of month. Keeping the objective in mind these executives always try to hold their margins to enjoy enough profits by the time month end, to achieve this target they may ask you to buy vehicle at the end of the month. Doing this helps in increasing the number of cars sold by them during the month. All these strategies are not disclosed to you, in case if you receive any such proposal does not go with it and buy your dream car at your convenience. 4. Now days lot of car owner’s sale their existing car on exchange basis, when you share this desire with the dealers then in the beginning they will favor your decision and drive your car to evaluate its value. It is from here they start breaking your enthusiasm by criticizing the performance of your existing car and offering you the lowest price by saying that it is the best deal you can get for your car. Whereas the fact is that if you try to sale your car in open market you could get much better price than offered by them, in-fact even the price demanded by you. Therefore, in case if you are selling your existing car and buying a new car from the same try to make research about the true value of your car from the market and then reach on some concrete decision. Hope you would have found this stuff beneficial for you and will keep these factors in concern while going to buy your dream car.